Kudzai Chipanga, the youth leader of the ruling Zanu-PF party has said that Zimbabwe's president Robert Mugabe, 92, will die in office. Chipanga made the comments while addressing about 5,000 people at a rally in the capital, Harare, in what appeared to be an attempt to counter opposition-organised protests. 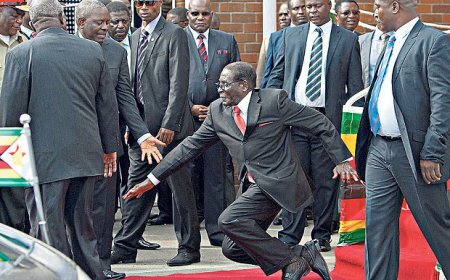 Mr Mugabe will die in office. It was written in the Bible that he won't just rule the country, but would die in office."